This is the time of year for continental Christmas markets ! 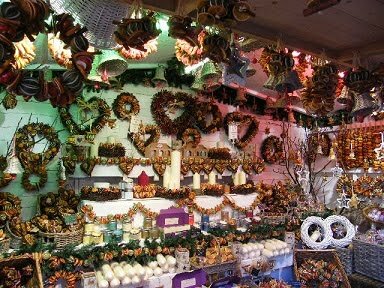 If you can't make it to France or Germany this year then why not get a flavour of these markets by visiting one of the ones running in the UK. 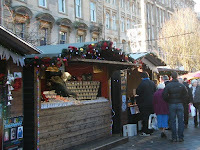 These Christmas markets were first revived in Lincoln, where a Christmas market has been running for over 25 years. 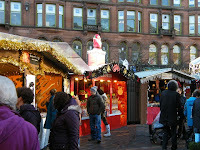 Other good ones to visit are in Glasgow, Hyde Park, Bath, Cirencester, Winchester , Manchester, Birmingham, Edinburgh etc. 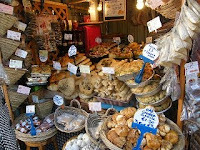 They often have continental traders visiting from France, Germany and Italy. We visited the Continental Christmas market in Glasgow today where we had an excellent lunch from a stall frying a delicious smelling Chicken Provencal of chicken, potatoes and carrots with a side dish of mushroom stroganoff ! Yum !! We just couldn't walk past ! We also and had a look at some of the unusual crafts and delicious baking for sale, including breads from France and chocolates from Italy ! Traders from France and Italy were there alongside some UK traders ! These markets are a great place to go for some craft gifts or unusual presents for Christmas. Or just to soak up that continental atmosphere. 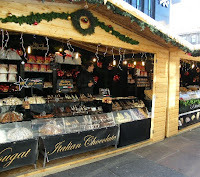 There are some great Christmas markets in France, including in Lille and Paris which can be visiting via Eurostar. Also in Amiens, which has the largest Christmas market in the North of France, as well as Mulhouse, Caen, Arras and Strasbourg. 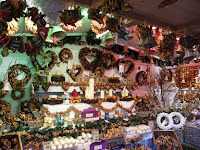 Those in the Alsace region of France tend to have a German flavour to them, owing to their proximity to the German border. Its French Film Festival Time Again ! This has been a great year for French film, with Jean du Jardin winning Best Actor at the Oscars for his role in The Artist, which won the Best Picture award. 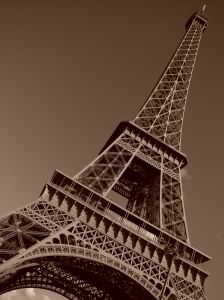 And the film Hugo, which was set in Paris, also picked up some awards. Let us know if you have any great recommendations or reviews of any of the films you go to see !